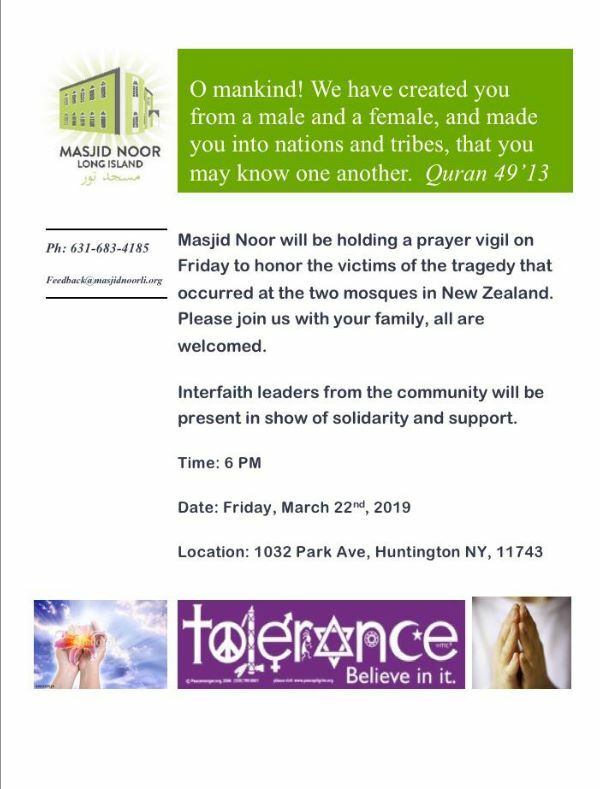 You are invited to join Pastor Mark at the Masjid Noor mosque in a prayer service to remember the victims of the shooting at the mosques in Christchurch, New Zealand. The service begins at 6:00 PM. The mosque is located at the corner of Park Avenue and Broadway Greenlawn. Parking is available in the church across the street.